A man tried breaking into the house of Red Devils star Wayne Rooney. The 24-year old is set to be charged for attempted burglary while Rooney was out playing his testimonial match at Old Trafford last week. The burglar named Robert Leslie McNamara has been identified to be from Scarborough in North Yorkshire. The £6 million mansion in Presbury has an alarm system that the burglar triggered and police made for the house, catching the thief after conducting a search around the property. The Rooneys – Wayne, his wife Coleen and sons Kai, klay and Kit, were away at the Charity tribute where Manchester United played host to Everton, Rooney’s childhood club. "Cheshire Police has charged a man in relation to an attempted burglary in Prestbury. Robert Leslie McNamara, 24, of Newby Farm Crescent, Scalby, Scarborough, was arrested on Tuesday on suspicion of attempted burglary,” a spokesperson of the police revealed. When former Red Devils player Angel Di Maria played at the club after his big money move from Real Madrid, he and his family was robbed at their mansion. The robbery left the wife in shock and angry, and it played a part when the player decided to leave the club. He eventually joined French champions Paris Saint-Germain. The police spokesperson added that the burglar has already been charged to court for his actions. He is remanded in custody pending the decision of the judge but the police say he went there intentionally to steal. The charge states that McNamara was at the house on Wednesday August 3 at the Chelford road area of Presbury. 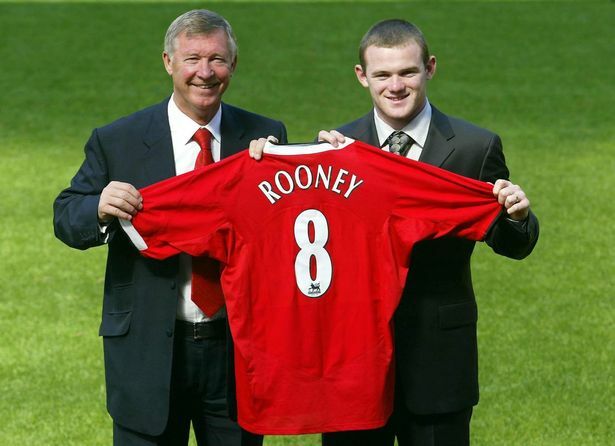 Rooney is second highest earning player in the English Premier League with a weekly wage of £260,000. The burglar wanted a piece and felt when the whole family would be out was the best time to act but he didn’t figure out the alarm part.